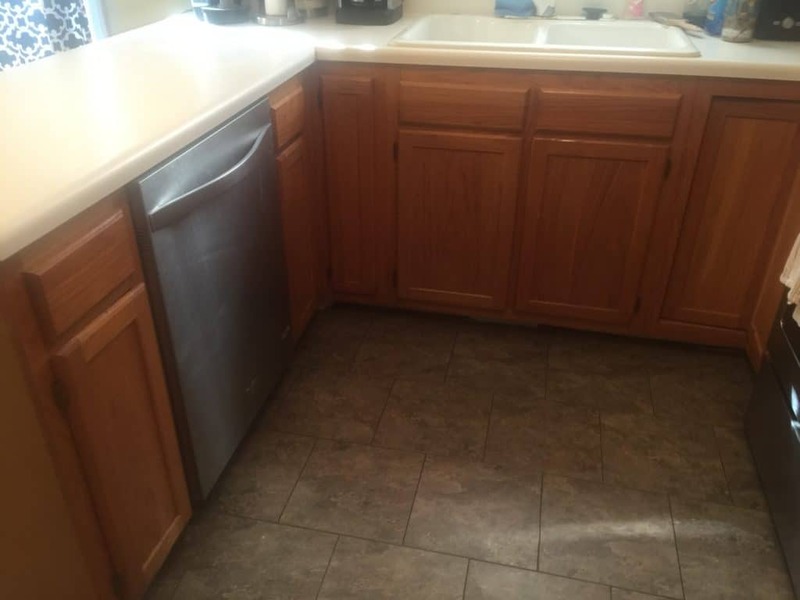 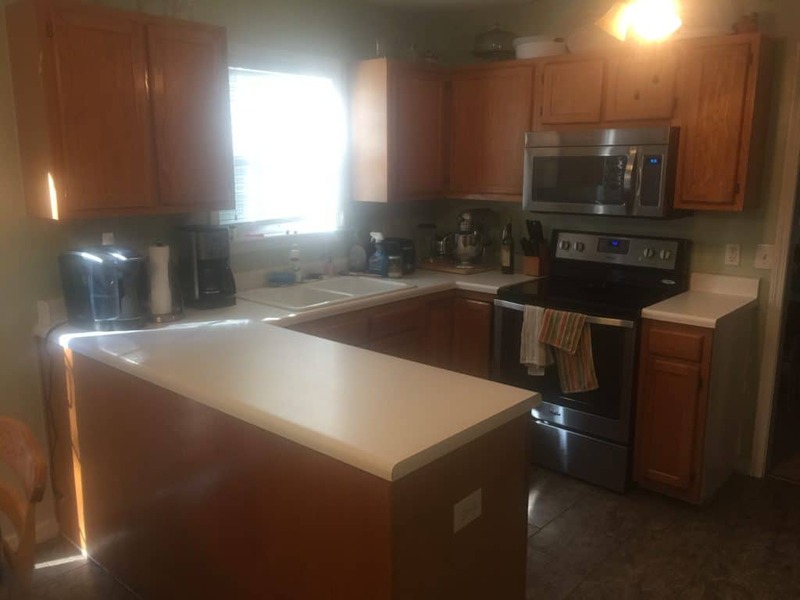 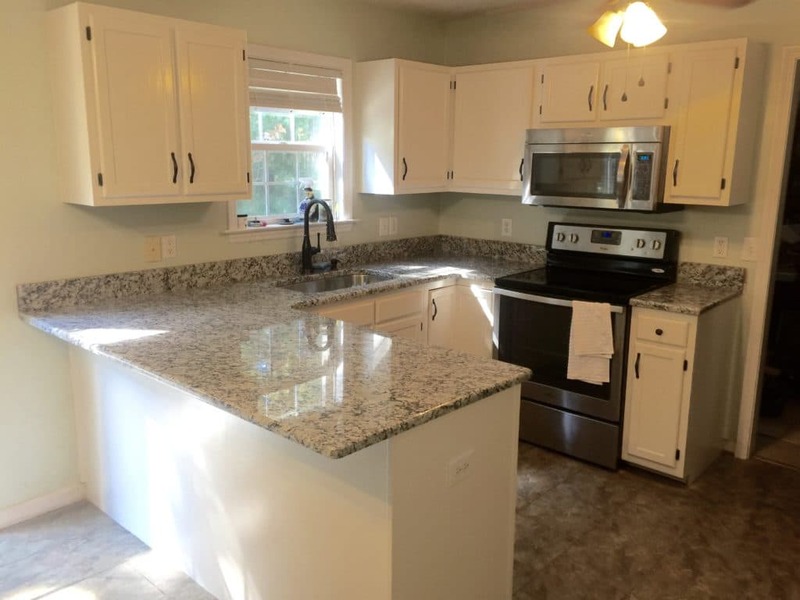 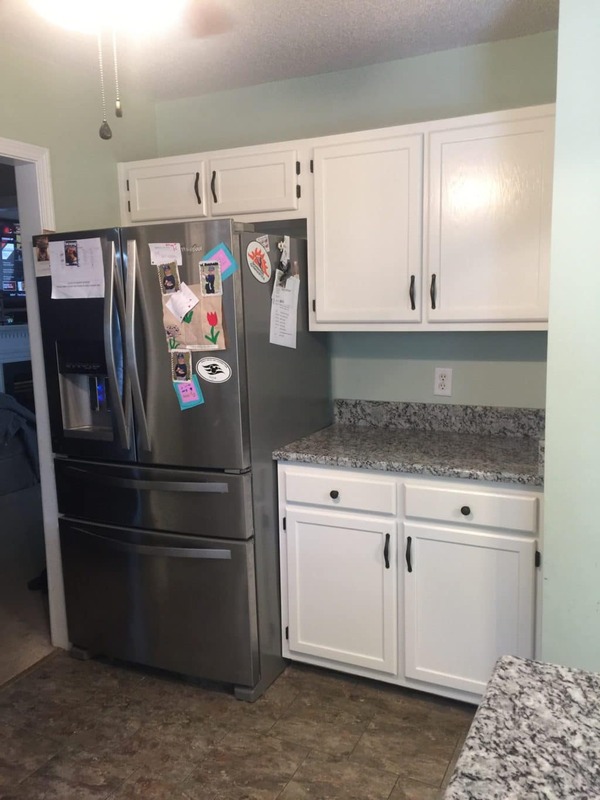 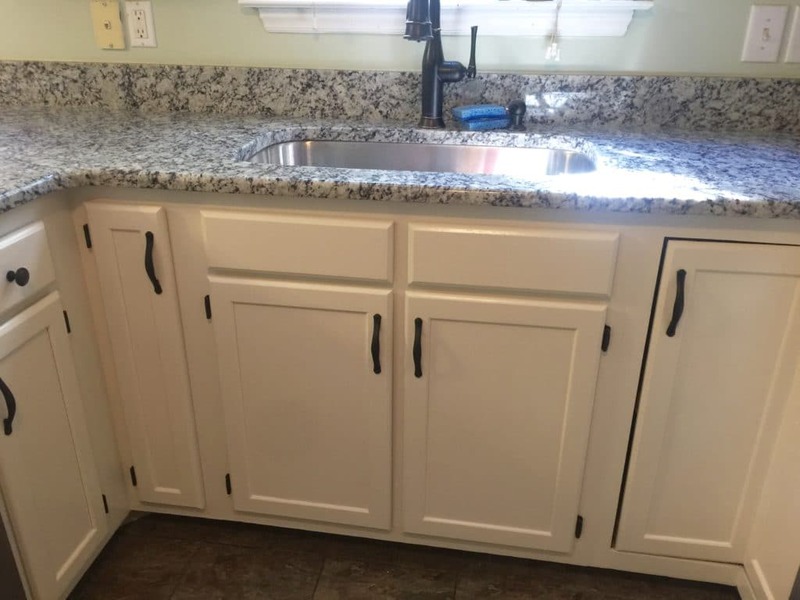 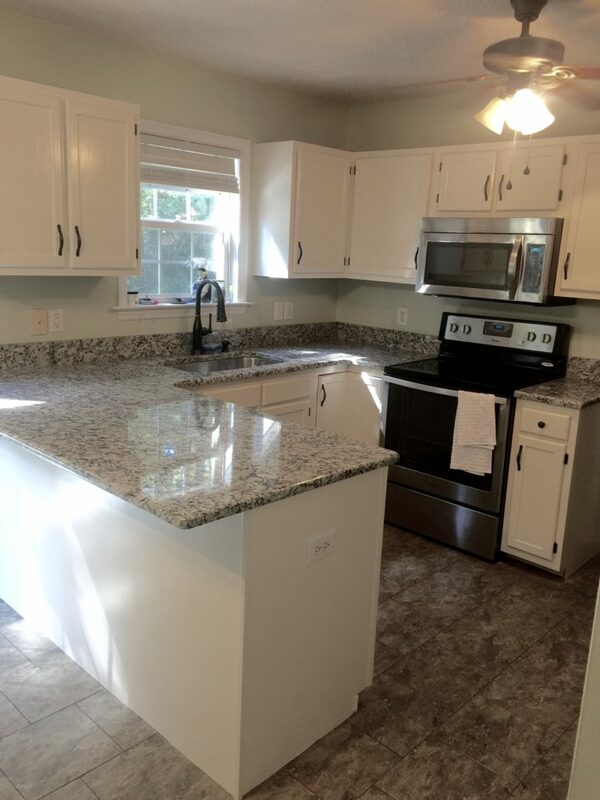 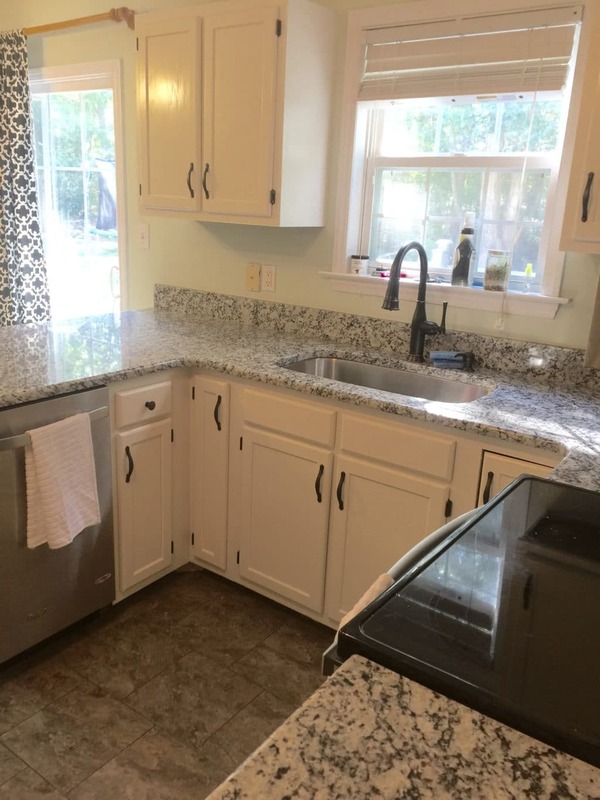 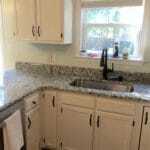 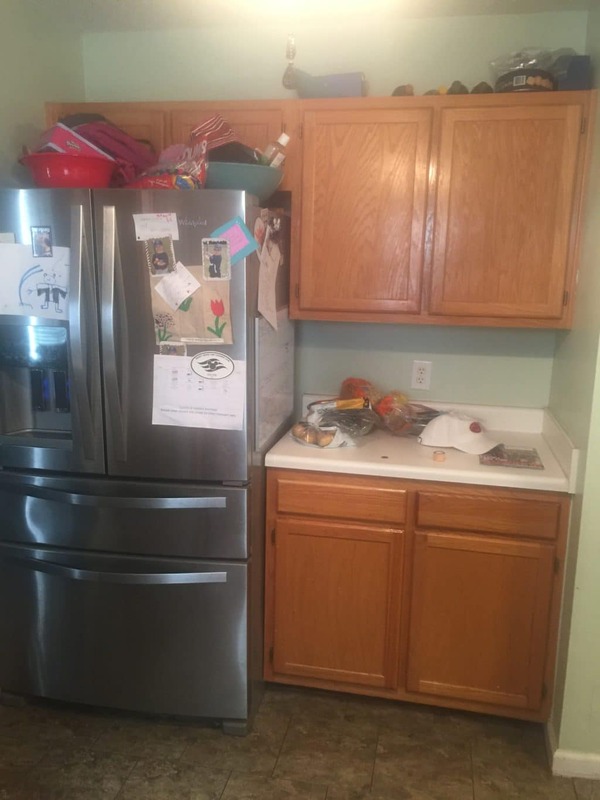 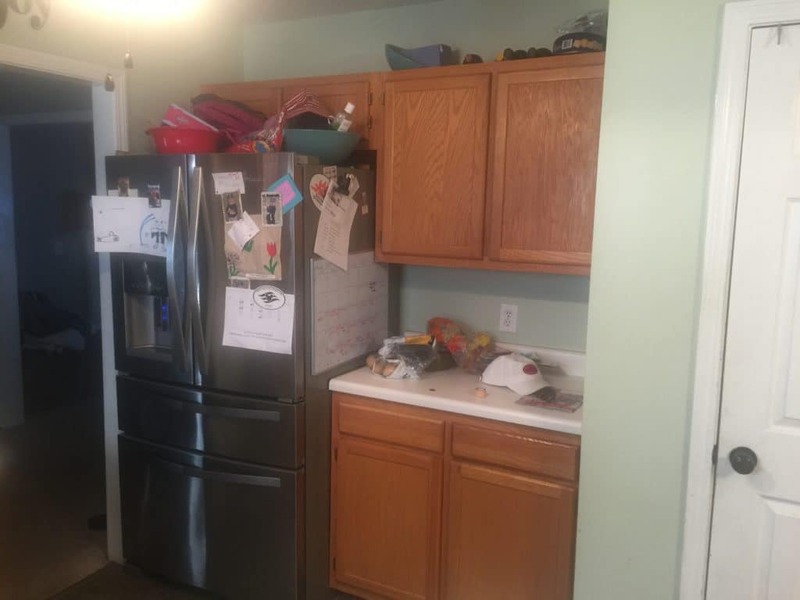 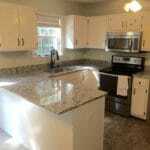 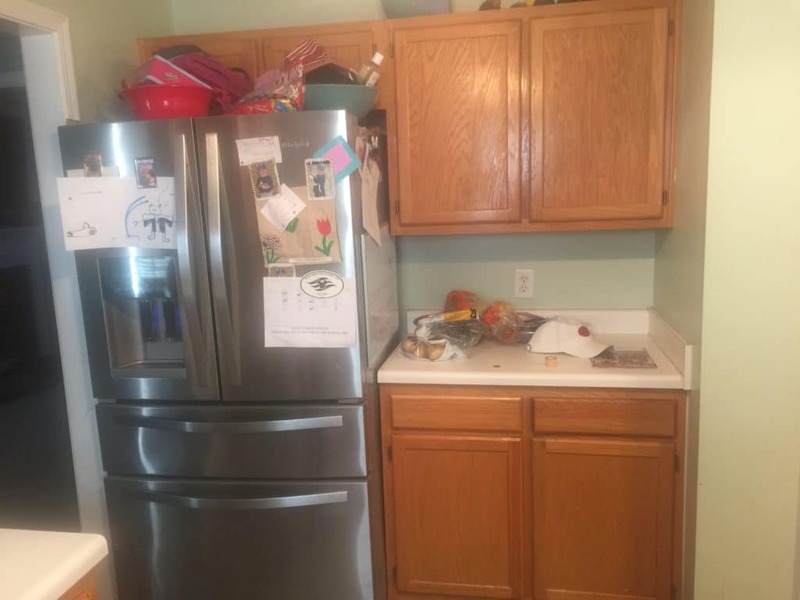 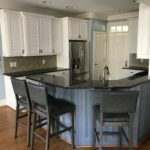 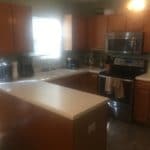 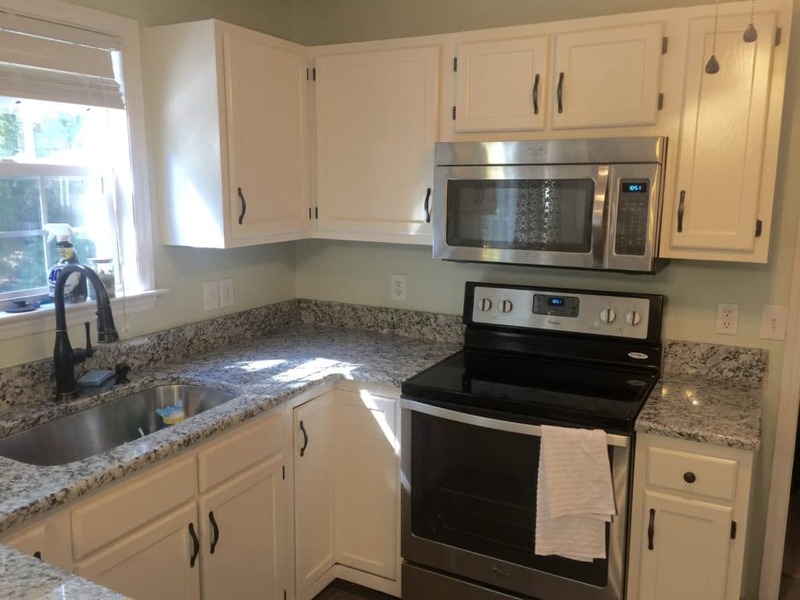 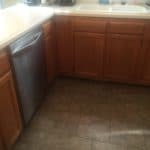 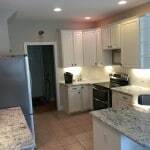 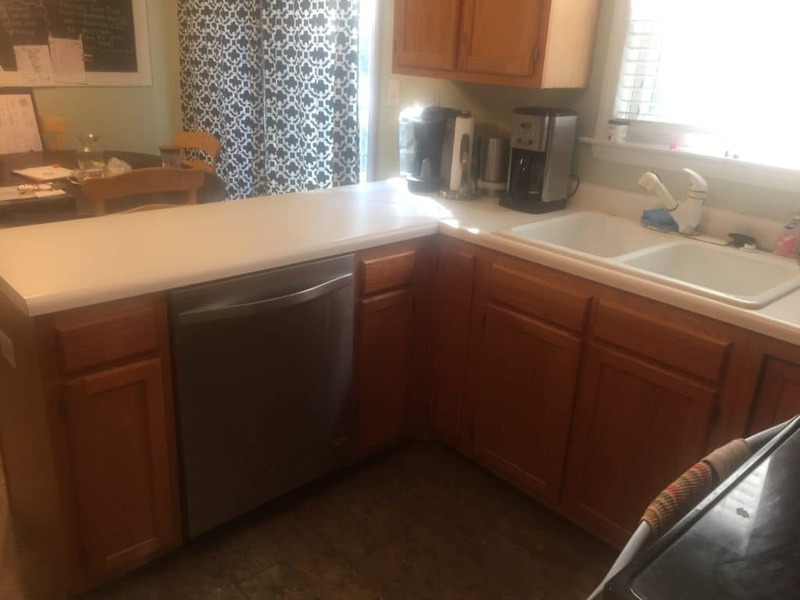 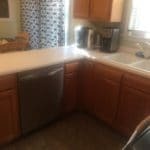 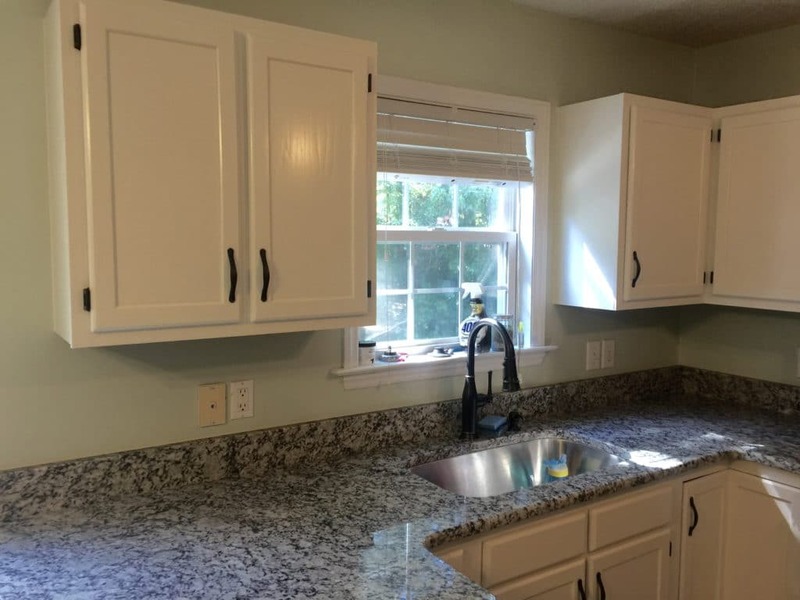 Our homeowners are in the middle of a complete kitchen overhaul – new wall paint, granite counters, tile backsplash, wood flooring and painting the kitchen cabinets. 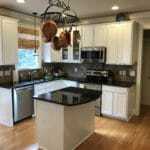 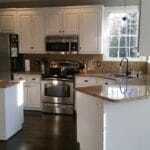 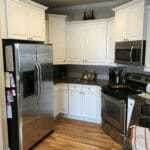 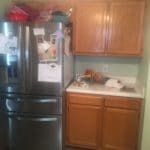 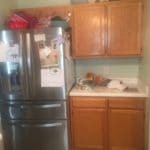 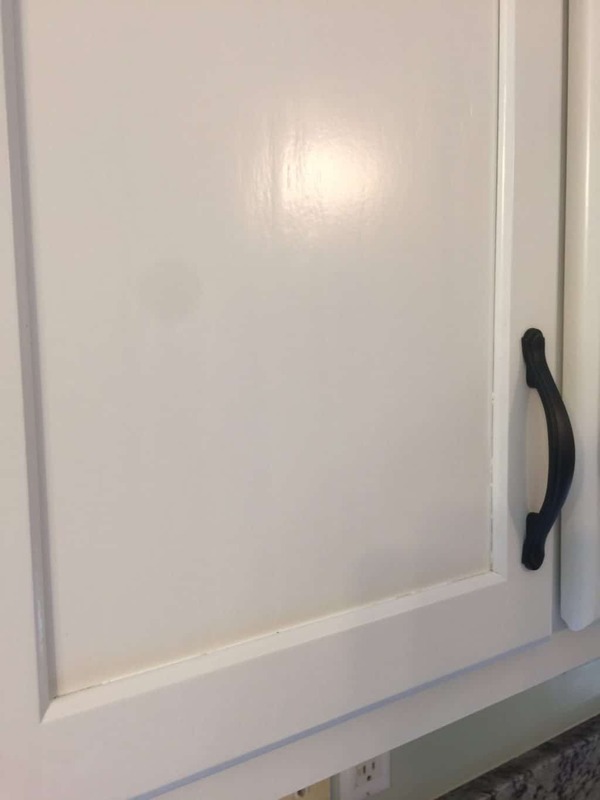 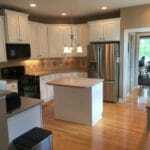 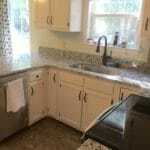 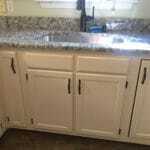 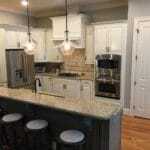 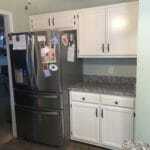 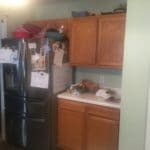 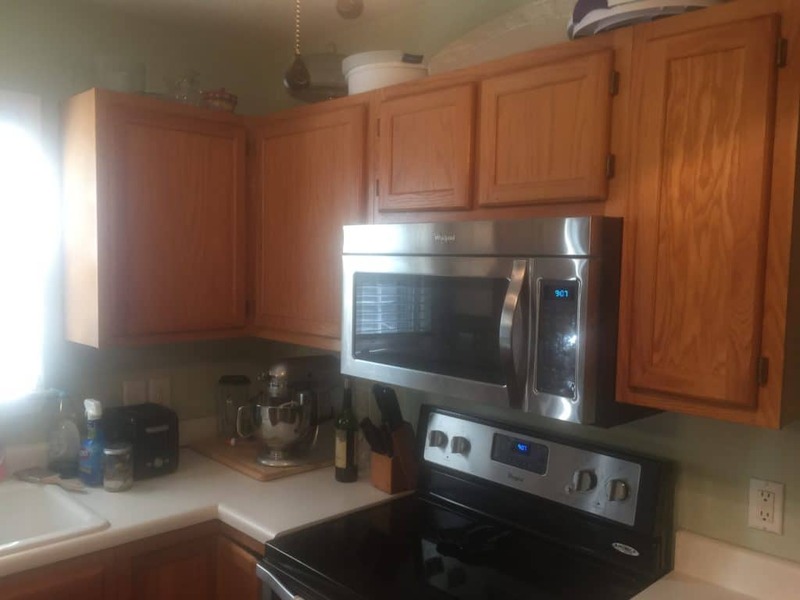 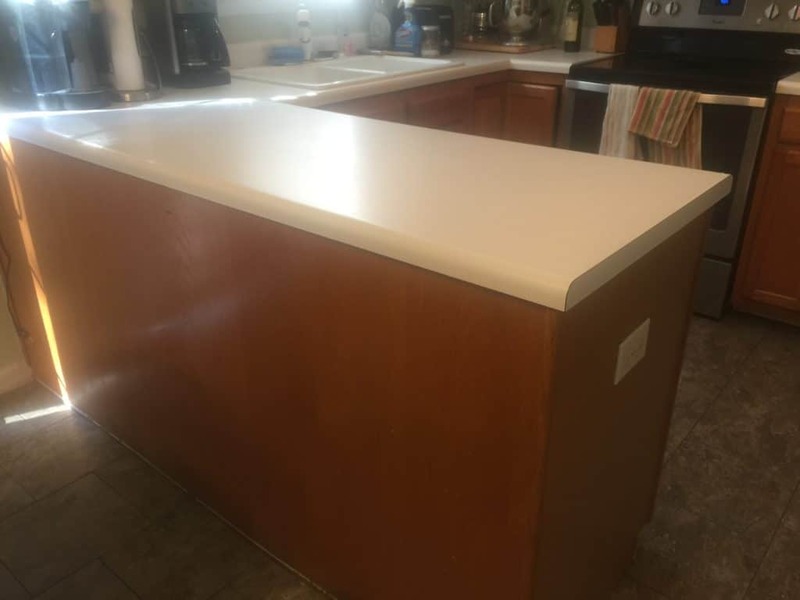 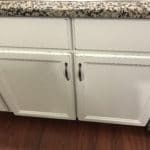 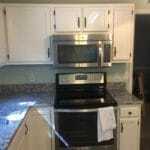 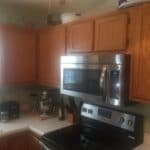 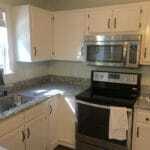 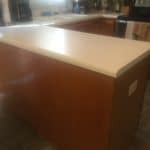 We color they chose for their oak cabinets is Creamy, from Sherwin Williams. 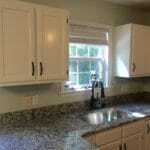 A soft, cool white with a hint of a yellow undertone. 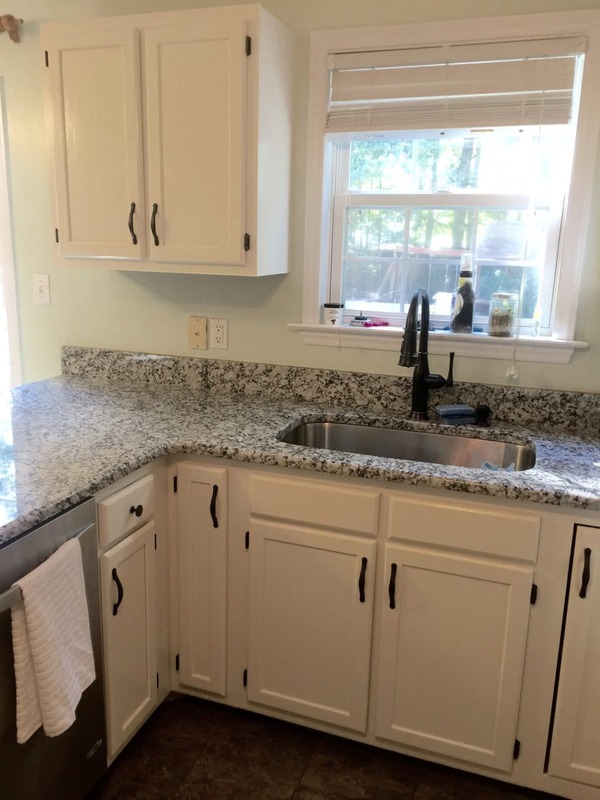 It’s the perfect complement to the tones of the granite. 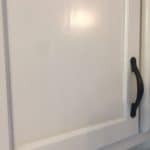 We also added new oil rubbed bronze pulls and knobs, and sprayed the existing hinges to match. 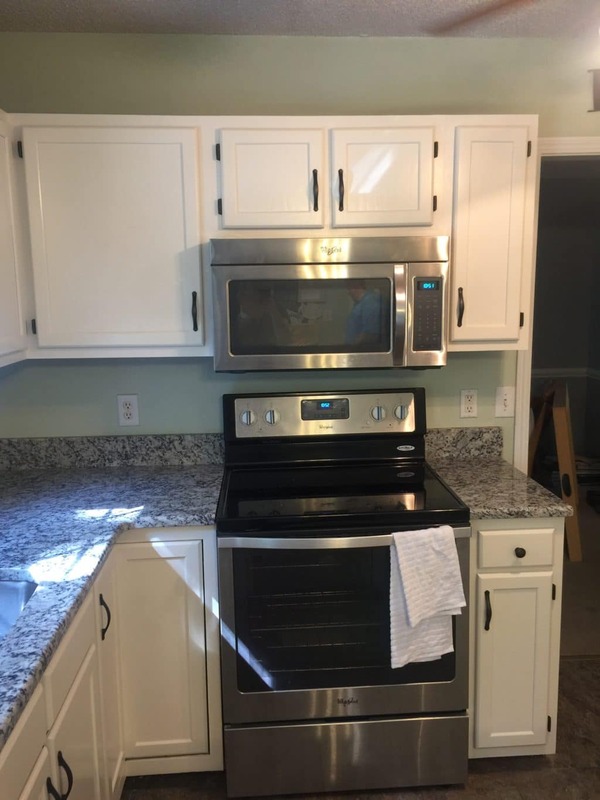 What a huge difference a little paint can make!